RAPAPORT... The Dubai Diamond Exchange (DDE) will join the Gem & Jewellery Export Promotion Council’s (GJEPC) digital know-your-customer platform. 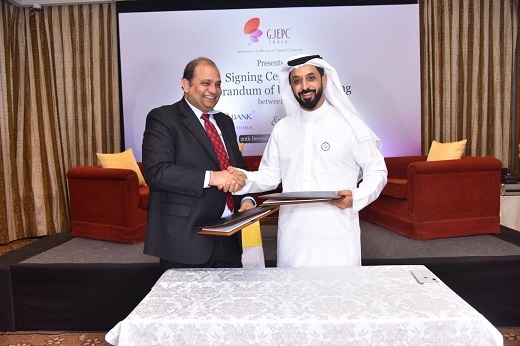 All members of the DDE’s parent company, the Dubai Multi Commodities Centre (DMCC), that trade in diamonds, gold and precious stones will be able to use My KYC Bank to manage and share customer information, the DMCC and the GJEPC said last week. The DMCC will be the fourth trade body to use the platform, in addition to the GJEPC, the Bharat Diamond Bourse and the Antwerp World Diamond Centre (AWDC). The platform has more than 2,200 users, the GJEPC said. My KYC Bank — which the GJEPC rolled out together with the AWDC in December 2017 — was designed to help members of the trade meet reporting obligations under the anti-money-laundering laws in their respective countries. Users can share information with others in the trade, as well as with banks and other financial institutions.